Nursing home residents are trusting the doctors and staff of the facility with their wellbeing at a time when they are less capable of taking care of themselves. If a nursing home is negligent in its care, a resident has a right to compensation for his or her worsened physical condition. Documentation of injuries and expert testimony are important in proving that the resident’s condition is the result of improper care. Residents need people who are willing to testify on their behalf during the case. The plaintiff may have died as a result of the injury, leaving family members to file a wrongful death lawsuit. How the staff responded to those concerns. An independent physician can give key testimony in a nursing home negligence case. An expert in nursing home care knows the proper method of caring for residents and what can happen when staff is neglectful. By examining the plaintiff, the expert can identify possible signs of neglect and mistreatment and surmise how the injury may have occurred. The nursing home is sure to call on its own medical experts to testify, so the plaintiff needs someone with knowledge and credibility to counter that testimony. Seemingly minor injuries to a nursing home patient can develop into a serious or fatal condition. 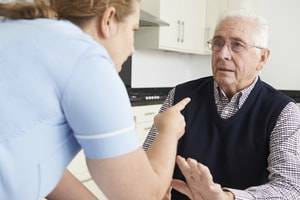 A Wheaton, Illinois, nursing home neglect attorney at Walsh, Knippen & Cetina, Chartered, can help you or your loved one receive compensation for nursing home negligence. Schedule a free consultation by calling 630-462-1980.